There are about 3 million people living in Mauritania. They are descended from a variety of tribes, including Berber, Tuareg, Fulani, and Arab. People who have Berber or Arab ancestors or those with descended from intermarriage between Arabs and Berbers are referred to as Moors or Maures. About 40% of the population is descended from Moors and Black ancestors and many of them are nomads or semi-nomads. The rest of the inhabitants belong to the Soninke, Bambara, Wolof, or Tukolor ethnic groups. They are mostly farmers living in proximity to the Senegal River. A majority of Mauritanians are Muslims belonging to the Qadiriyya group. The Islamic Republic of Mauretania is located in the northwestern part of Africa, sharing a portion of the Sahara desert. The name Mauritania comes from Mauretania, a province in Rome. In Latin, the name means 'Land of the Mauri'. It is one of the most colorful nations in Africa, well loved among tourists who value its fascinating appeal and the unique indigenous culture. Mauritania is one of the best locations for those who wish to experience the adventurous desert life. Although Mauritania has a few urbanized areas, most of the best sites are outdoors, so people coming to visit should be ready to go out and enjoy their time under the desert sky. 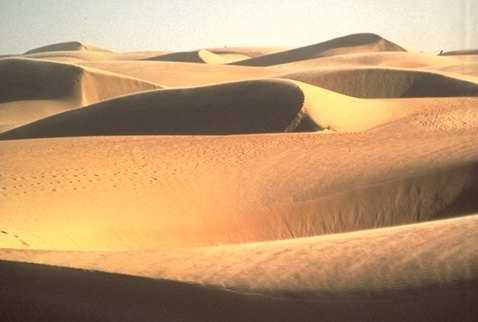 The desert played a huge role in the history of Mauritania. As it encroached on the land, it influenced agriculture and human settlement, and helped shape the lives and economy of the people who live in the region. Mauritania shares borders with Algeria, Senegal, Mali and Western Sahara. About 75% of the land is semi-desert or desert, so you should expect prevailing temperatures to remain high all year. The land is generally low-lying, barren and flat. A part of the land is semi-arid, particularly along the Senegal River, which is the border with Senegal. Incidentally, this is the only river in Mauritania that doesn't run dry. The most fertile region in the country can be found in the Sahel, to the southwest. 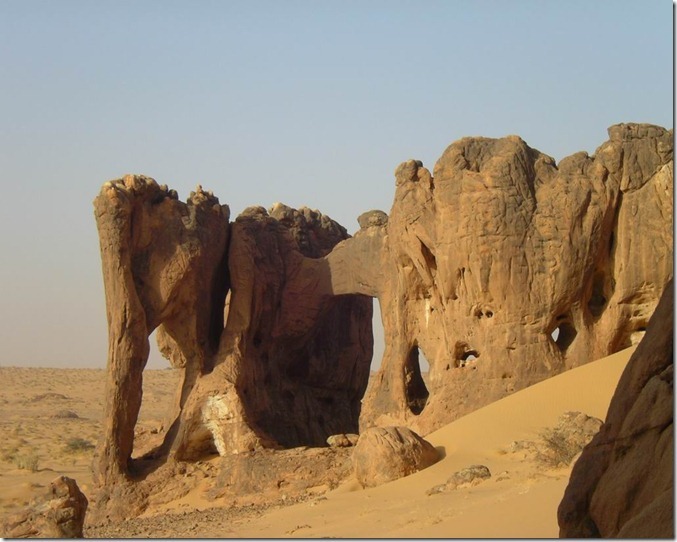 Easily the most interesting feature of Mauritania's landscape is a sandstone plateau that cuts through the middle of the country, starting in the northern region and extending to the south. There is also a large desert basin in the southeastern region called the Hodh. The original inhabitants of Mauritania were the Bafours, whose descendants were the Soninkes. The Bafours were later displaced when the Berber tribes began migrating to the region in the early part of 1,000 B.C. The Bafours were originally nomadic but gradually turned to agriculture as they began to settle. Migration from the Central Saharan inhabitants continued, along with the warrior Moors. Later, Arab invaders came and dominated Mauritanian society. They emerged victorious after the Thirty-Year War waged by the Beni Hassan warriors. In the mid-1400's, Portuguese sailors came and established themselves on the island located near what is now known as Western Sahara. During the 17th century, French, Dutch and British traders came to purchase gum Arabic. The southern part of Mauritania came under French control in 1903 and was separated in 1920, although it was still considered a region under Senegal. In 1960, Mauritania declared independence. Mauritania has had its share of political troubles, racial tensions, and internecine wars, but there is a continuing effort to ensure a more democratic way of government. Today, it has become a top tourist destination, thanks to its location, its unique charm, and its pleasant people. 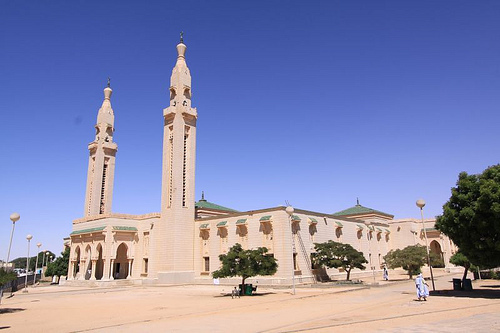 One thing that you will want to remember when visiting Mauritania is that it is an Islamic country. That means nightclubs and bars are quite limited in number and certain activities are highly restricted. In fact, alcohol is difficult to find in certain areas, although it is served within hotel premises. Locals frequently provide their own entertainment in the privacy of their homes, mostly in the form of music, dancing, and storytelling. Most nightlife activities are concentrated in Nouakchott, the capital city. Some of the most popular cafes, bars, restaurants and clubs are here, so this is where you will usually find other tourists. Mauritania is a predominantly Muslim country and a majority of the people are Sunni Muslims. A very small percentage of the population is Roman Catholic, and the rest are Christians affiliated with other religious groups. The official national language is Hassaniya, an Arabic dialect that is widely used in the region. Local dialects are also spoken, including Pulaar, Imraguen, Wolof, and Soninke. Those in the upper, educated classes may also speak French, and French is the language used in most newspapers, magazines and other media. 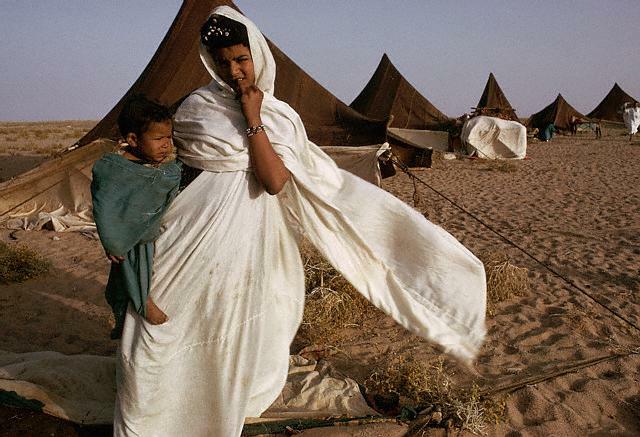 Mauritanian culture is one of the very few where gaining weight is considered an asset, particularly among the women. In fact, becoming overweight is a goal that many families encourage in their young girls. When you visit Mauritania, expect a few surprises when partaking of its cuisine. Most of the ingredients used in cooking are available in the region, so dishes are made from locally grown grain, fresh fruits, and fresh vegetables. Meat and fish-based dishes are also common. Mauritanian cuisine is a mixture of several flavors indigenous to the region and those brought in by settlers and immigrants. Rice is a staple in the local cuisine and most entrees are created using goat and lamb meat. For vegans, dishes using only vegetables are not hard to find, though the most popular meals are served with meat and fish. There are also very palatable food like fish balls, spiced fish served with rice, vegetables, couscous and dried fish. Mechoui, roasted whole lamb, is a very popular meal, and dates are commonly served as snacks or dessert. Drinks include Arab tea, sweetened and served with mint, or camel milk, called zrig.